2 Bedroom Semi Detached House For Sale in Chesterfield for Guide Price £150,000. A nicely presented two bedroom semi-detached house offered for sale with NO ONWARD CHAIN. 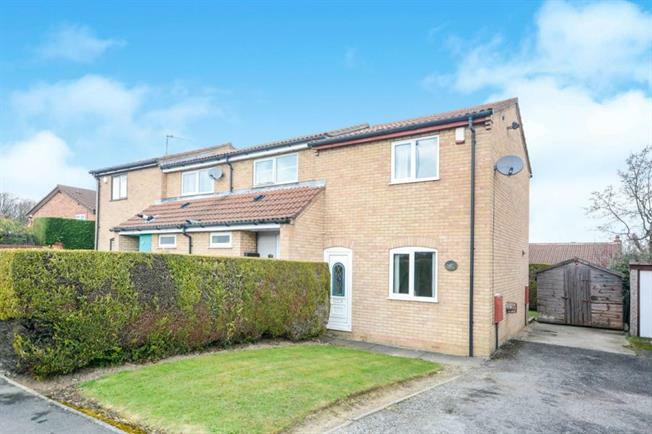 An excellent opportunity to acquire this nicely presented two bedroom semi-detached house which is favourably located within this highly desirable residential area, well placed for a host of local amenities and public transport links. The property briefly comprises of entrance lobby leads into the living room with access through to the kitchen with a range of wall and base units and fitted appliances. Stairs lead to the first floor and the two bedrooms and family bathroom with w.c, wash hand basin and bath.